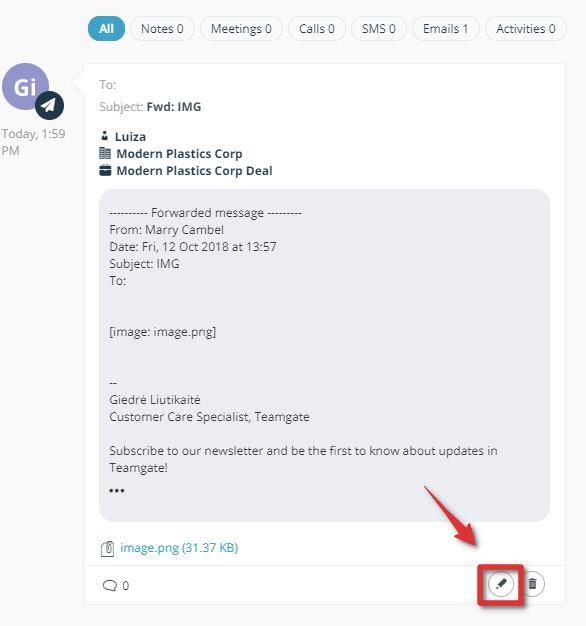 A new functionality has been implemented that allows a user to manage email attachments as well as assignees. 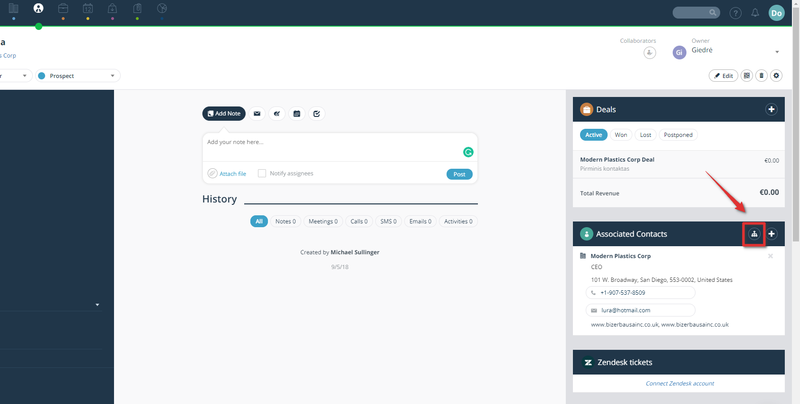 Meaning, a user can add or remove unwanted files and contact cards. Users who have Enterprise subscription plan can now add visual content (f.e. pictures, signature, etc) to an email when sending it directly from Teamgate. For more information please visit: How to send emails from Teamgate? 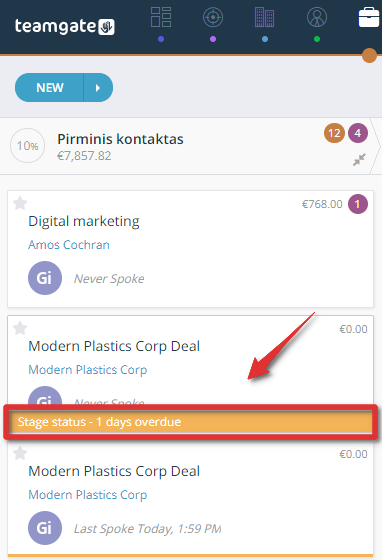 A new feature that displays information about the deal delay in a given sales stage. It indicates that action is required to advance to the next stage or close a deal if a deal remained in a stage for longer than a set timeline. 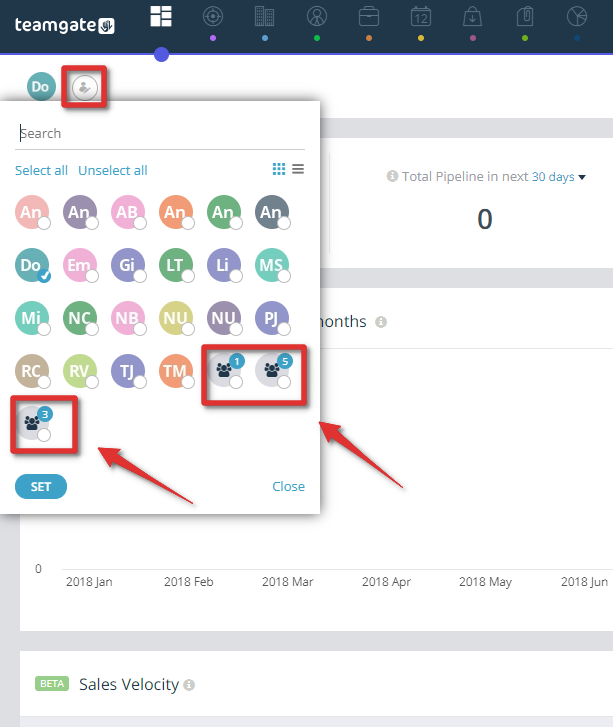 For more information on how to set timelines for each stage please visit: How to create a sale pipeline? Enhanced user list functionality. 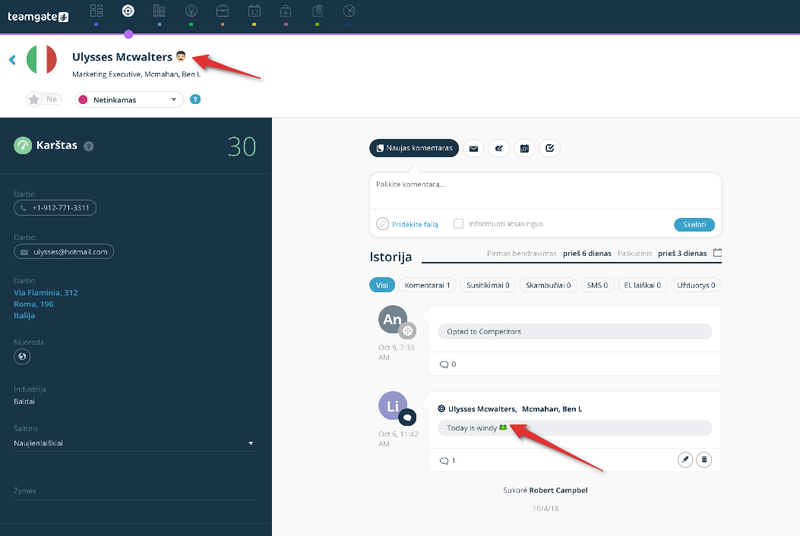 In the dashboard section, a user can now select not only single individuals but also teams. Contact and company cards now have a new feature in the associated contacts box which visualizes a tree of all associations. 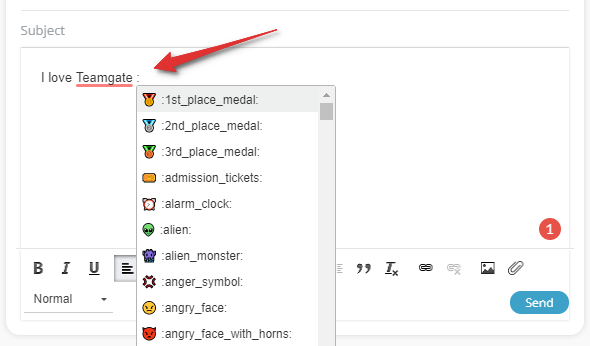 When drafting an email, there is now a functionality to use special symbols 📩🏆🤩 (f.e. emoji). A user can press ":" for the functionality to work.